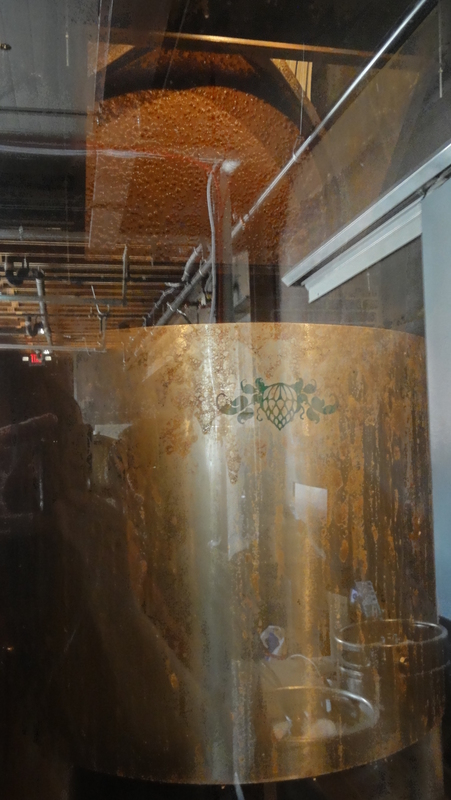 Our third brewery visit in Asheville, NC was to Wicked Weed Brewing on Sunday, 2/23/14. We were instantly overwhelmed by the number of beer options on the tap menu and realized that we were going to have to hang out for a while in order to get through three different flights of 8 unique beers each. After ordering the first flight, co-owner Rick Guthy sat down with us to explain what makes Wicked Weed unique. Brothers and brewers Luke & Walt Dickinson were raised in California, and although they moved from there at a young age, they picked up a preference for the styles of the West Coast when they were old enough to have an interest in craft beer. Walt is more keen to sour and barrel-aged beers, while Luke prefers cleaner styles such as Belgians and IPAs. 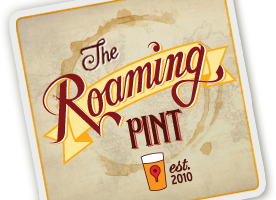 Once they realized that they wanted to open a brewery, it took just a few years until they had conceptualized a business plan and presented it to their friend Ryan, Rick’s son. 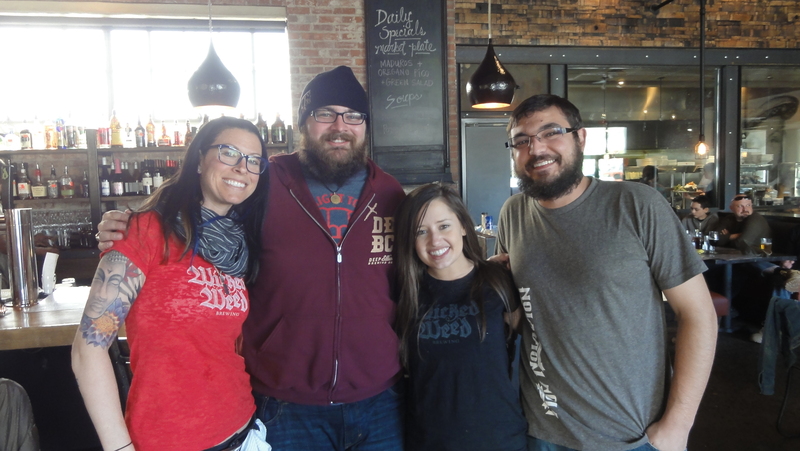 The four of them, along with Denise (Rick’s wife / Ryan’s mother), began working on Wicked Weed immediately. 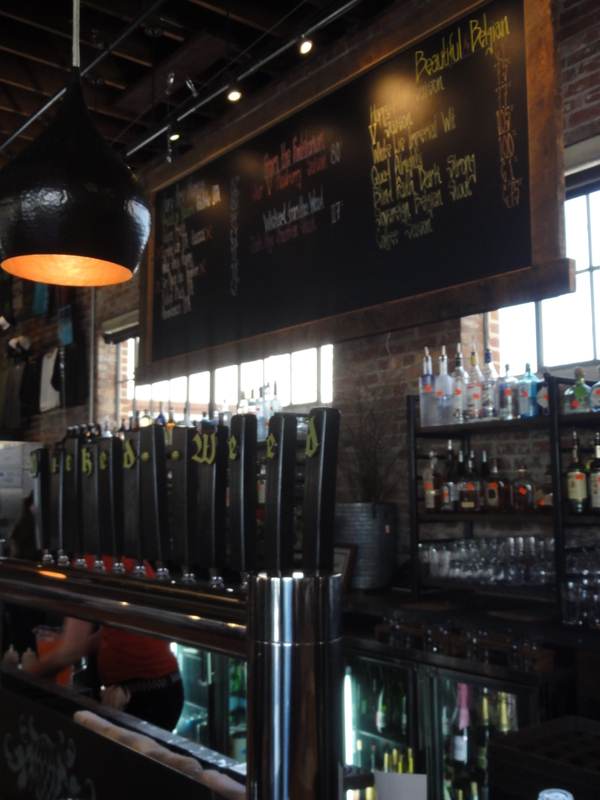 After brewing for several months, they opened their doors located right next door to a local live music venue, The Orange Peel, on 12/28/12 with 17 beers on tap right from the start. 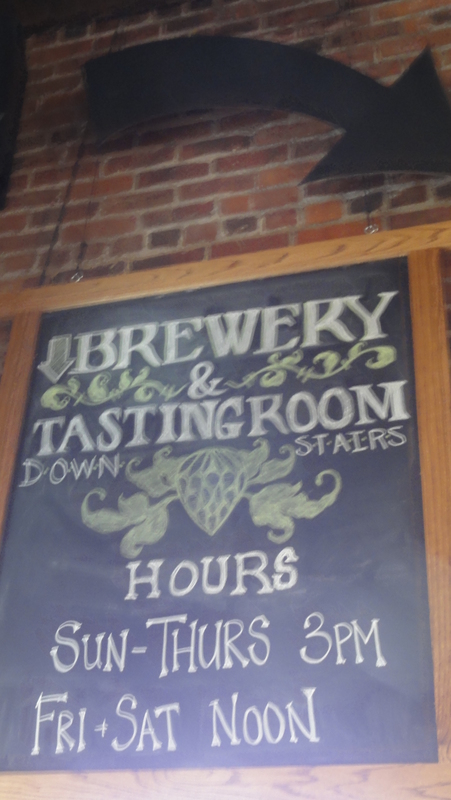 Wicked Weed was able to brew 104 different types of beer throughout 2013 (an average of two new recipes a week), and have around 25 unique beers on tap at all times. 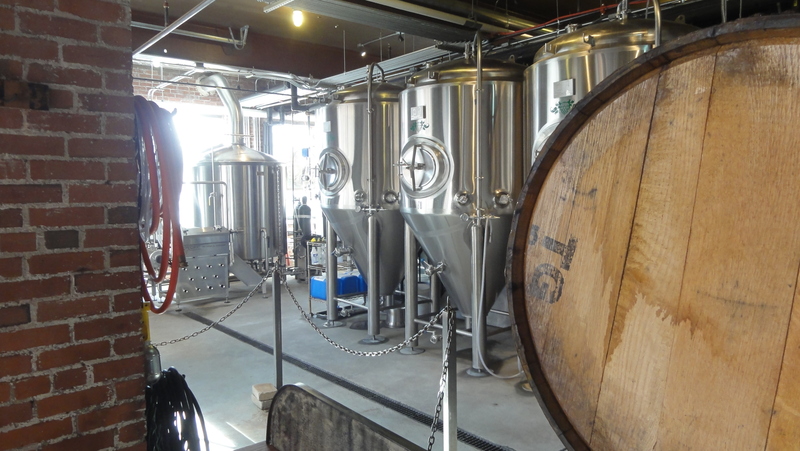 They were able to make those 104 batches using a 15 barrel brewhouse, producing about 2,800 bbl in 2013; their original highest projection was 1,500. 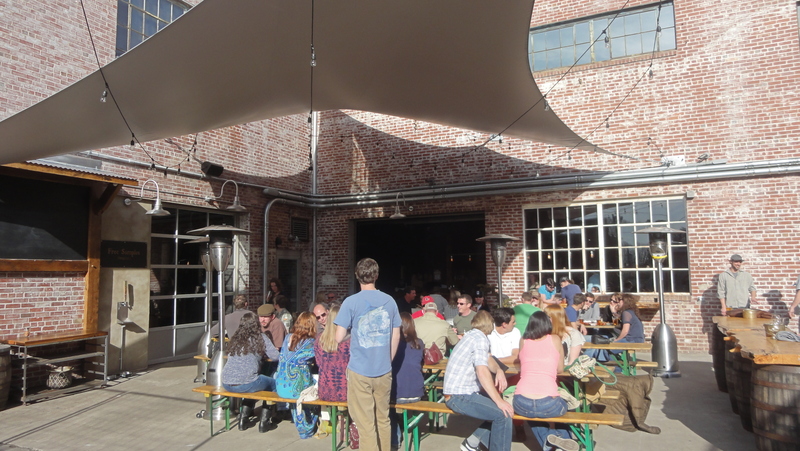 The goal for 2014 is to make 4,000 bbl and then increase from there, which will be helped by the fact that they just started self-distributing kegs into Raleigh and Charlotte in January. 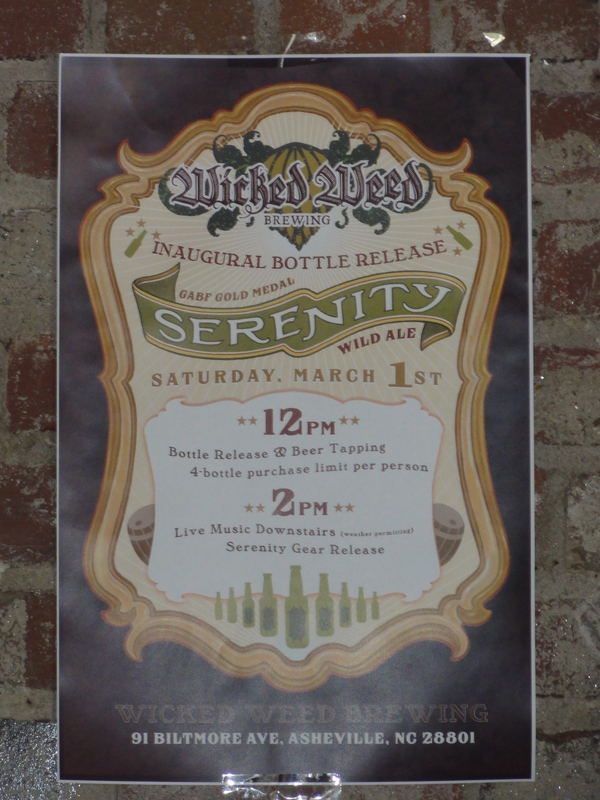 Another factor that will help out with their growth is the introduction of packaged beers and their first bottle release was actually just a few days ago on Saturday, March 1st. Serenity, a beer of theirs that impressively beat both Crooked Stave and Russian River, won a gold medal at GABF and was the beer released. 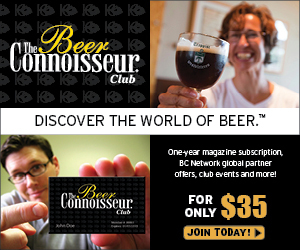 All of their beer falls into one of three categories: a barrel-aged program, which includes their sours and is termed the Wood Series, a line of Belgians where all brews go through an open-fermentation process, and American West Coast-style IPAs. Freak of Nature Double IPA is the most popular beer in their repertoire, so they try their best to keep it on tap at all times. 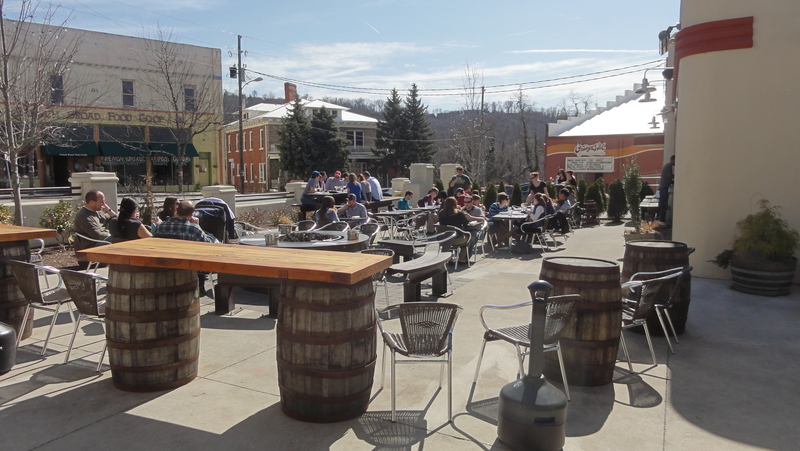 A few more popular beers that are on tap more often than not include Sir Ryan the Pounder American Session Ale, Zealot IPA, Lucid Blonde, and Bedeviled Belgian Golden Strong Ale. Walt and Luke were out of town during our first visit with Rick, but we went back a few days later and had the chance to speak with them. 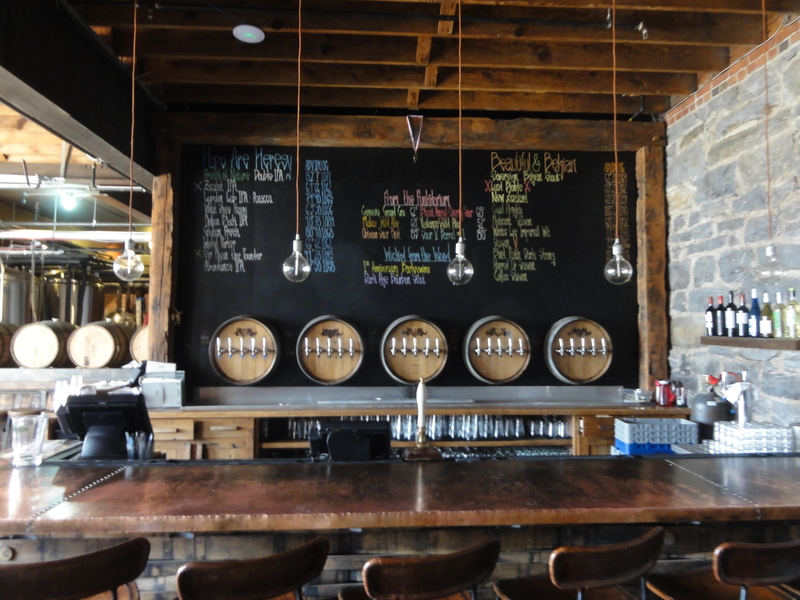 During that visit, they informed us about a new gluten free beer they offer called Gluten Freek; it is the first gluten free beer offered in Asheville, and I must say I would have never known it was gluten free had they not told us. 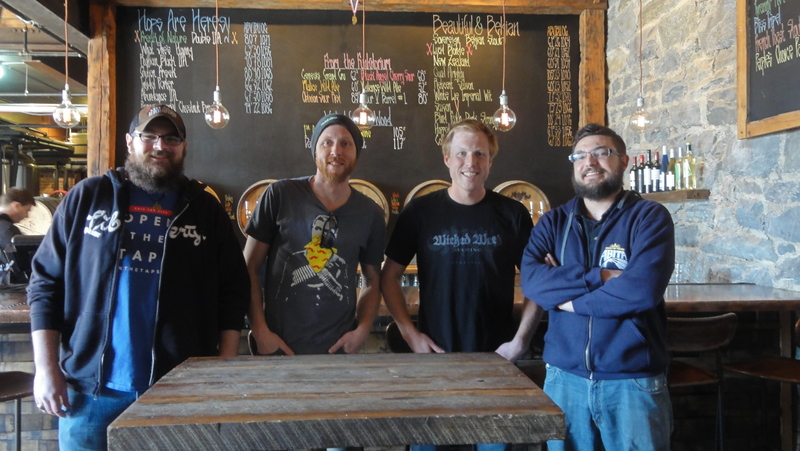 They also said that Wicked Weed is striving to have the largest barrel program in the south, with 320 wine and bourbon barrels full of sour beers right now. Some barrels are found at the location we visited, but most of them are housed in a separate site about 8 miles away from the brewery where there is nothing inside but rows and rows of barrels aging; they are currently looking for more space to expand the program to around 600 total barrels. 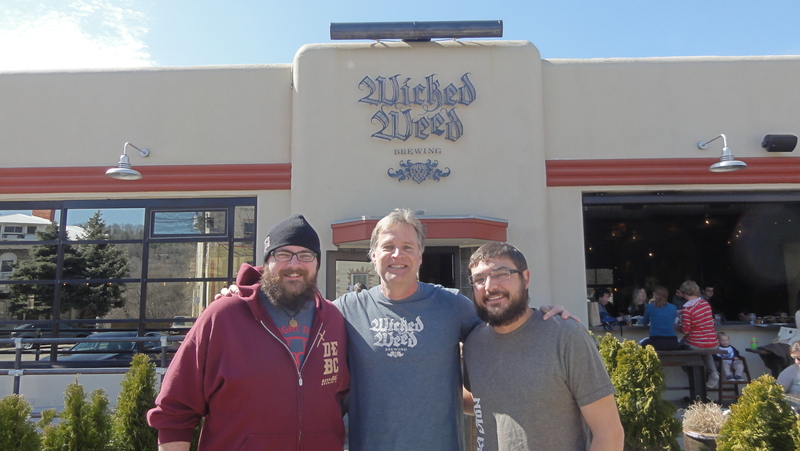 Back during our first visit with Rick, he informed us that Wicked Weed is already involved with at least a dozen charities and did a significant amount in charitable donations their first year. They also hold a few beer dinners throughout the year thanks to Chef Cardiff and have some coming up in March, April, and May. 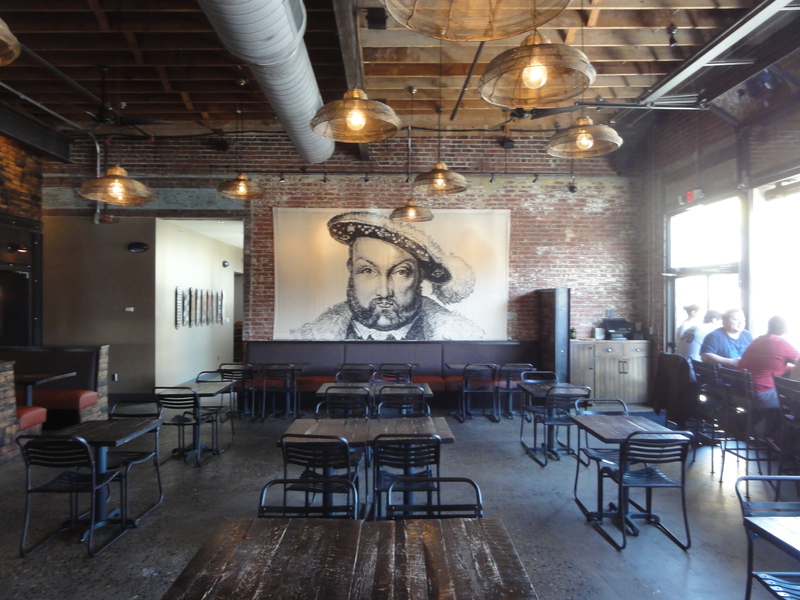 All of the original five partners opened Wicked Weed with the intention to have food that was better than just normal pub food, since to them it’s really a five-legged stool: they have to have great beer, great food, great service, a great atmosphere, and a great philosophy. By sticking to their plan, they have grown in popularity quickly and have already been featured in USA Today, Forbes Travel, and Southern Living, just to name a few. Upstairs and downstairs both have a significant number of beers on tap and both have an outdoor patio perfect for hanging out. 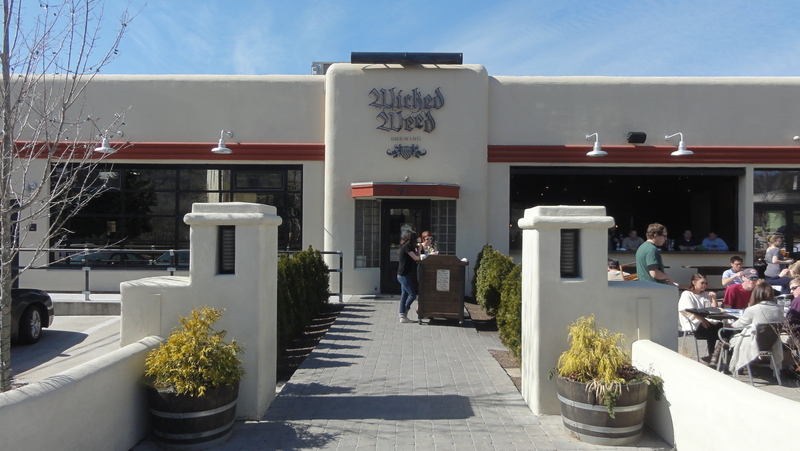 Asheville is a great place for beer and there’s a lot of awesome places in town to try; Wicked Weed is just one of them. However, if you’re in town you should absolutely give them a try. Big thanks to Rick for giving us an in-depth view into the brewery, to Luke and Walt for talking with us about the beer, and to Jessika and ‘Sweet Little’ Holly for serving us our flights on their busy day!